Originally this tutorial was published in PolymerCAFE magazine in Summer 2003, but here is an encore with a little bit of updated material info for molding compounds. 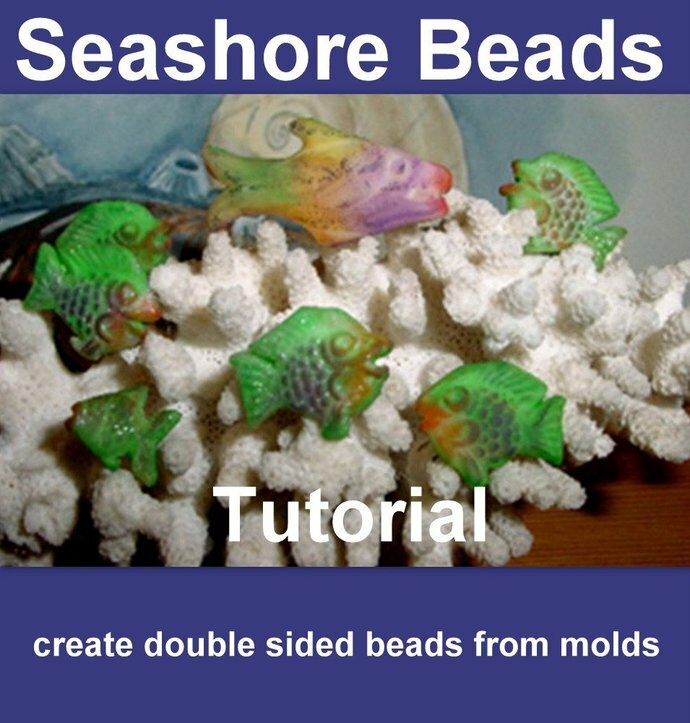 This Lesson shows you how to make your own 2-sided molded beads with polymer clay.. First, I show you how to make a double mold, then 2 sided beads using small fish pendants, but you can use any other theme you like. Iâll be demoing with Sculpey Mold Maker, but will tell you a bit about the alternatives you can use. 19 photographs and 7 pages. File will be ready for DOWNLOAD once payment has been confirmed. You'll be sent an email letting you know that your file/s are ready to download. (This email is in addition to the purchase confirmation email).